One of the territory’s opposition parties hopes the government’s public apology to youth and media about the allegations of mistreatment in government-run group homes isn’t a superficial one. “A cautionary flag is up; this is something that needs to be discussed,” NDP Leader Liz Hanson said of the allegations dating back to late 2016 and detailed in CBC North reports earlier this year. The apology came after the government received a report from Pamela Costanzo, an external investigator and B.C.-based labour and employment lawyer. Costanzo’s report in its entirety was not made public – rather, a summary of her findings was provided at a media briefing last Thursday. The report looked at six allegations and found merit in two of them, involving two separate instances that occurred just a month apart in late 2016. That November, a youth was asked to leave his group home without receiving the support of a transition plan. Then, in December, another youth was denied entry into his home, something that was not reported through the management chain properly, Frost explained. Hanson said that was something she was “really concerned” about, especially as it involved already-vulnerable parts of the territory’s population. The apology also came after officials had questioned some of the allegations last April, saying they would have broken government policy. Almost five months later, the report found support for two of the allegations, at least one of which had indeed gone against law and department policy. “Over the course of the last (months), we’ve heard variously from the minister and officials who questioned the veracity or truthfulness of these young people,” Hanson sighed. The department also admitted it had been given misinformation from other officials and workers – at least one of whom has since resigned, they explained. That’s Brenda Lee Doyle, who is listed as the assistant deputy minister in the government’s online directory. According to CBC reports, Doyle was one of those who received complaints from a senior manager within the department. That manager was not included in a number of whistleblowers who sounded alarm bells about mistreatment in the territory’s group homes. While the resignation may be a sign of accountability, Hanson said, that the department is unable to specifically address what repercussions other workers faced raises more questions. That’s despite Frost ensuring that “management and staff are being held to account for the repeated mistakes within the department,” Hanson noted. In response, the government did say that there have been turnovers within the department, but Samis said this was “for a variety of reasons,” including retirement and leaving government services altogether. He assured, though, that some employees “absolutely” left on their own terms between the time of the allegations and today. “What does it say about your trust level ... of setting up an overall atmosphere within HSS,” Hanson questioned. The NDP leader also wondered what kind of impact the allegations have had for on-the-ground workers who interacted with the youth in their care. Hanson also wondered what the apology and admittance of a system in crisis could do against the backdrop of a number of instances that has brought the department under scrutiny as of late. One of those instances included department officials temporarily closing down an Integrated Supports for Yukon Youth office in June – claiming it was for issues related to plumbing and heating. A department spokesperson later admitted that there had been “miscommunication,” and it had been indeed closed for internal human resource matters. Hanson added this still “floored her” months later. She wonders whether this (combined with the apology and briefing last week) could “undermine any confidence that exists in the public and public services. “I’m a person who wants to believe in people, I want to take people at their word,” the NDP leader said. “When I see that kind of stuff going on, I find it very challenging,” she sighed. As for what her party may ask when the legislature reconvenes Oct. 1, Hanson said it may be useful to see the entire report with redacted names to protect privacy. “(They) gave us a summary – how about we get the full report?” she asked, noting that could allow for more transparency. Acting Public Services Commissioner Tom Ullyett said last week the report in its entirety cannot be released as it contains private information about individuals involved, including staff and the youth in care. Hanson said it was “quite right” of the PSC to not talk about personnel matters, which she can respect, but “it would be interesting to know....the public record of group home staff. “They’re not the ones who should be held accountable for any of this, but the minister and her officials absolutely must be,” the leader said of the children and youth involved in the allegations. As the government said, the incidences occurred at a “breaking point in a system that has been fundamentally flawed for decades,” Hanson pointed out there may also be a need to take collective responsibility. “Both this government and the past government, they’re responsible,” she said, referring to the Yukon Party’s 14-year reign. The Liberals came into power in December 2016, Hanson pointed out, and one of the allegations was made a short time into their mandate. “You can’t say that’s somebody else’s fault,” she said, so she’s glad to see the government take responsibility. “Yes, there’s history, but the situation and how you respond” to it after being made aware of allegations is important. Now, Costanzo’s report has revealed that at least two of the allegations had merit. That has left Hanson to wonder what other concerns there may be within the department. “Child welfare and all the related areas that go with working with kids and families is challenging at the best of times,” the leader acknowledged. Hanson said she remains hopeful that “this is not simply a way of diverting attention – that we’ve done that (apologized) and we don’t have to do anything else. 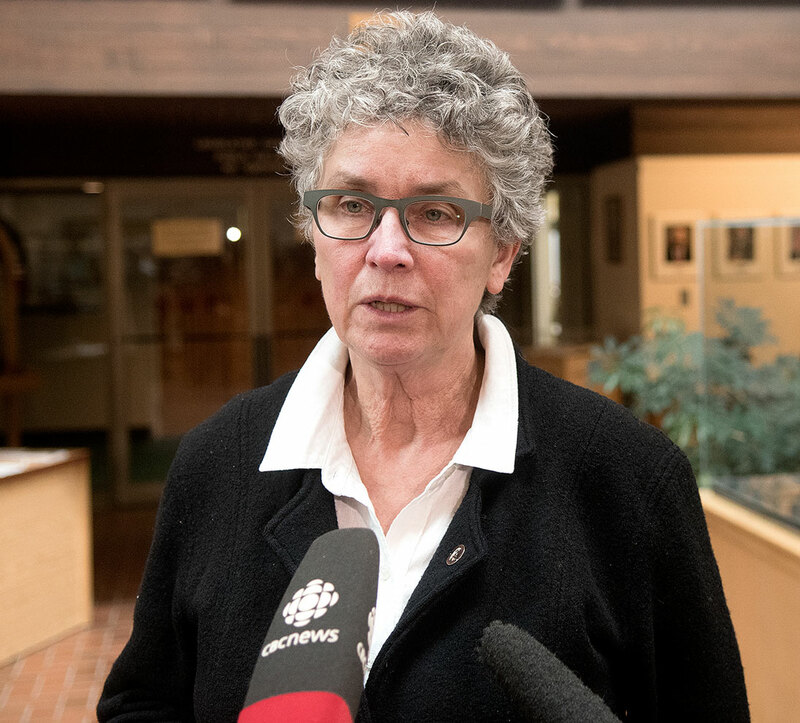 A party spokesperson wrote Friday that Frost “owes Yukoners an explanation as to why she did not take action immediately,” after becoming aware of the allegations earlier this year. The minister should specifically explain “why it took (her) months after the allegations were brought to her attention to launch an independent review,” spokesperson Madison Pearson added. @ using kids I do not see this as using kids for political gain; this is the job of the opposition to keep the government in line. Keep those questions coming, Ms Hanson. Hold that Minister to the fire; make her accountable first and foremost to those kids in care and secondly to the Yukon Public. That department is a mess. You are right here as the staff are suffering. NOT the supervisors or managers though. When will the union finally stand up and look a the staff changeover at these locations? Wonder why? Long time staff who care so much but are dealing with supervisors and managers (many who still work in the system) who just don’t care about the children. I think they have NOT even uncovered a majority of the injustice going on. Would former children in care please stand up to their MLA. With many voices maybe this time you will be heard. You are not alone. The group home management and family and children’s offices should all be investigated thoroughly. And not just go back a couple years either. is so low of the low. Disgusting as one friend who works in this area. At the end of the day, group homes can ALL be NGOs and not Gov. run. Minister Frost, isn't it time to save a lot of tax payers hard earned money!? The quality of care cannot be any more neglectful then it is right now. You have group home workers making any where between $80,000 - $100,000 per year for what??? Where are the programs and positive outcomes for these youth?? Majority of the youth who end up in jail are group home kids. For the amount of money being spent in this area you would expect good outcomes, excellent quality of care, programs and services for those youth who come into group care. Yet, year after year after year nothing changes. The current group care model does NOT WORK! Place all the group homes up for tender and give the contractors a little more extra money for the youth, and a little extra for the staff. The Gov will save hundreds of thousands of dollars, and you will have people working who actually love working with youth and with that will come better outcomes for youth, and you will save money. Minister Frost, I would strongly recommend you take a closer look at all the money that is being spent in group homes. It is time for this gravy train to end once and for all. This is not being accountable or responsible for a budget and tax payers money. The system/group care can be better, youth deserve better care and treatment, & tax payers need to know that this current group care model can be done for a lot less money. Vote for Master B! And sill nothing from the Yes-man Employer’s Union [YEU]. Someone might want to wake them from their long slumber. Interesting how the NDP are raising the concerns for affected staff and not the union. Our union is completely useless, I wish we had a choice in that area. Time to retire liz. No one is listening.